It is quite easy to look for any picture on an image online. 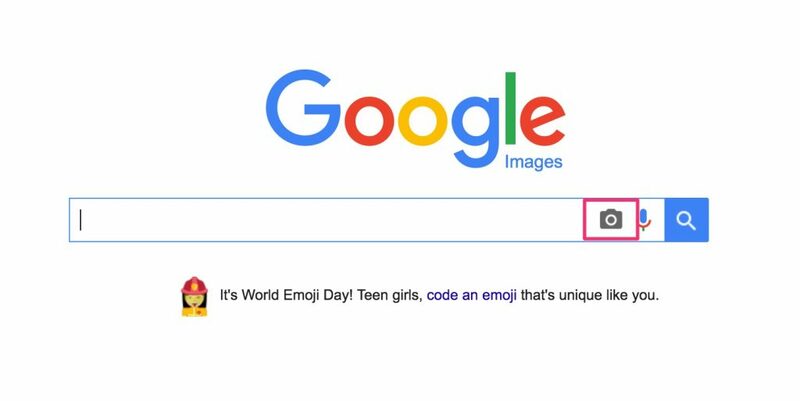 You just need to type your words in Google search bar and the images will be displayed immediately. But what if you have an image and you wish to know where it came from? Well, technology has answers for everything and looks like it has an answer for this too – Reverse Image Search. It is a pretty simple way and you can track the source of your image easily. Let us go through a step by step procedure and show you how to do Reverse Google Image Search. According to Wikipeida, Reverse image search is a content-based image retrieval (CBIR) query technique that involves providing the CBIR system with a sample image that it will then base its search upon; in terms of information retrieval, the sample image is what formulates a search query. In particular, reverse image search is characterized by a lack of search terms. This effectively removes the need for a user to guess at keywords or terms that may or may not return a correct result. Reverse image search also allows users to discover content that is related to a specific sample image, popularity of an image, and discover manipulated versions and derivative works. There are times when people think their social media accounts are being hacked and they feel their photos are being misused. Google reverse image search helps them to check and verify this. There are many people who make fake profile by using others photographs mostly to trap someone for a date or for blackmailing etc. There are hundreds of dating sites available online and the media is flooded with the news when people have been killed and abducted. There are hundreds of reports of crimes related to dating sites when online daters have met face to face. You can use this search to make sure the person you are interacting with is safe to converse with. It’s nothing bad that you are doing, a little information about someone you are dating is always good. STEP 1. The first simple step for the reverse image search is to open the https://images.google.com/ on your PC. Google Images page will open as shown in the image below. STEP 2. Click on the camera button on the right of search bar as highlighted above. A new window will open and will ask you to paste Image URL or to upload the image for which you want to perform the Google image reverse search. STEP 3. According to your preference, you can paste the image URL as shown above or upload the image from your PC. We are showing you an example by uploading an image from our PC. 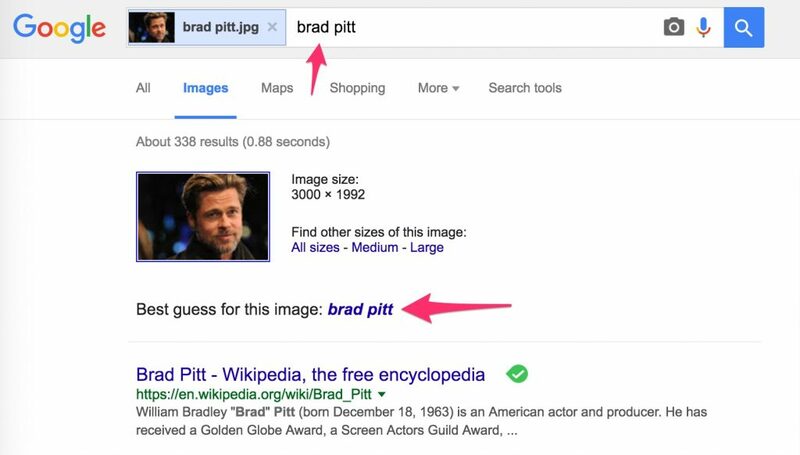 Once the image is uploaded, click on “Search by Image” and you will see the best possible guess for the image in google search results. The below option for reverse google image search on iPhone and Android works for PC also. 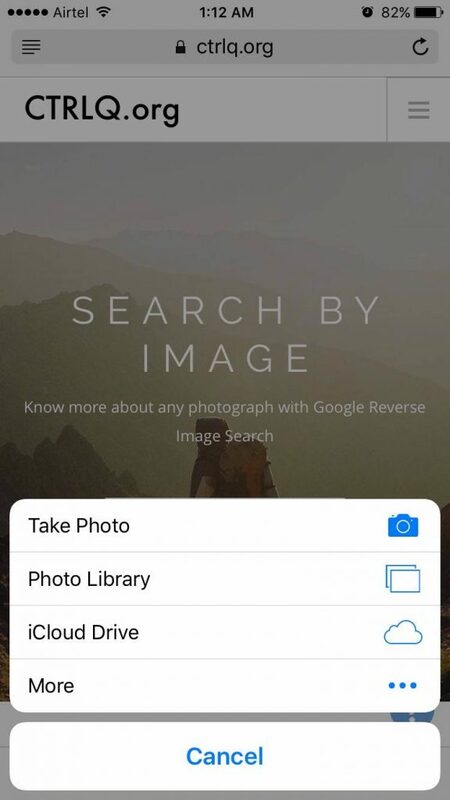 But, the above-mentioned guide will not work on your smartphone, so check out below how to perform the reverse image search on iPhone or Android phone. STEP 1. Visit the http://ctrlq.org/google/images/ from your iPhone / Android / PC. STEP 2. Tap on “upload picture” and select the image for which you want to perform Google image reverse search. STEP 3. 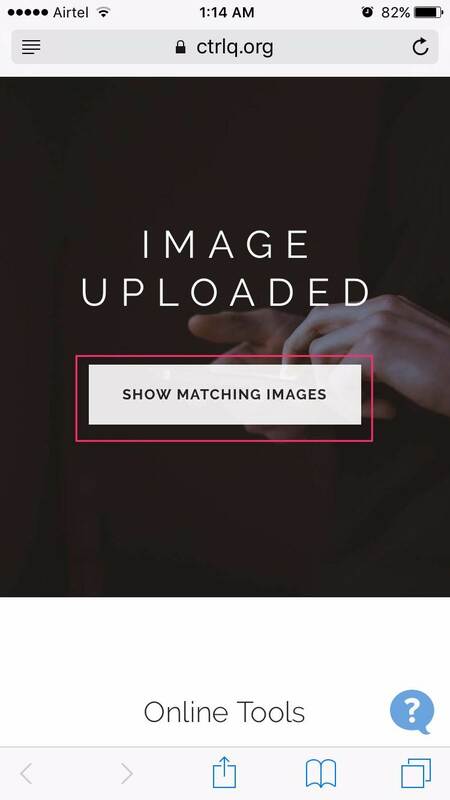 Once you will upload the image, just click on the “Show matching images” and it will find the best possible guess for the image. 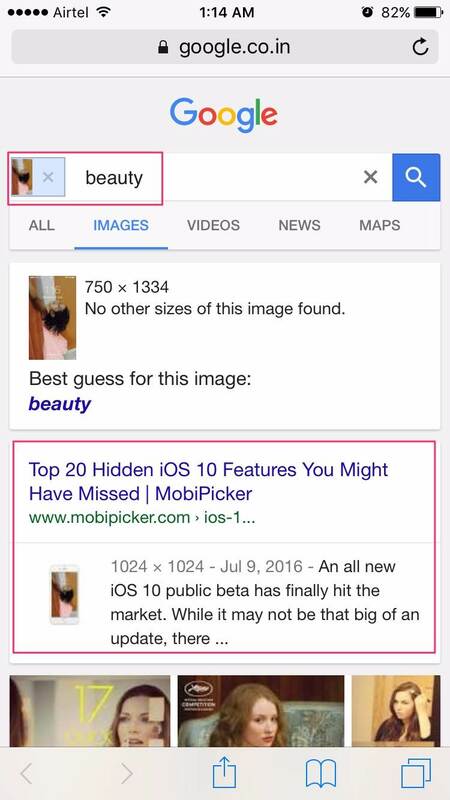 We performed the test for our screenshot which we used in one of our articles and you can see that the Google search results are showing our post “Top 20 Hidden iOS 10 Features” for the image. Google is the first tool that helps in doing a reverse image check. They gather all the data from the web to make sure you have each and every detail about the image like where the picture came from and if anyone else has used it before. To top it up is you have the latest version of Google Chrome and Google Android on your phone, all you need to do is press and hold the image and bring it up to the options menu and select “Search Google for this image.” It can be pretty useful for finding that same image in a larger size or better quality format, and it can even help you remember the website where that image was originally posted. Based on Google images reverse search, a number of developers have also developed image search apps for iOS and Android Phone. All the apps are good and have a number of features as well but unfortunately all of them are not free. So you can simply follow the steps above and check the history of those pictures or photos that you want to investigate. 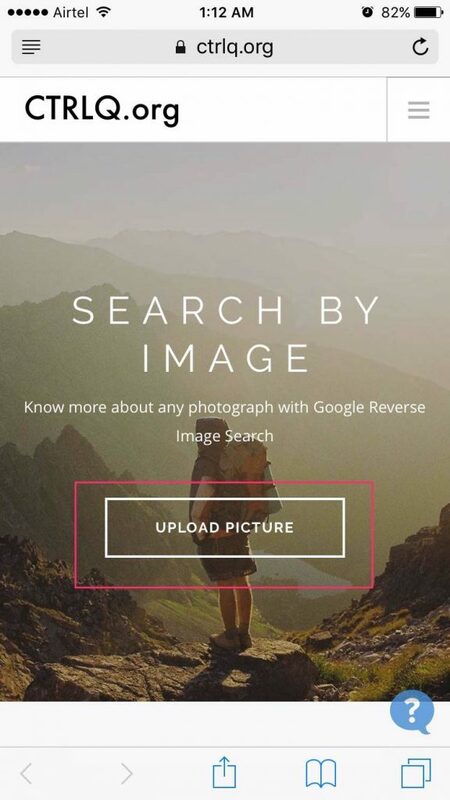 Google Reverse Image Search is absolutely free! If you liked this tutorial and/or have any doubts, feel free to comment below.